From Mandya in Karnataka, the party is supporting Independent candidate Sumalatha. New Delhi: The Bharatiya Janata Party (BJP) has released another list of 46 candidates for the upcoming Lok Sabha elections. The party also announced candidates for the legislative assembly, three each for Gujarat and Goa, by-polls. 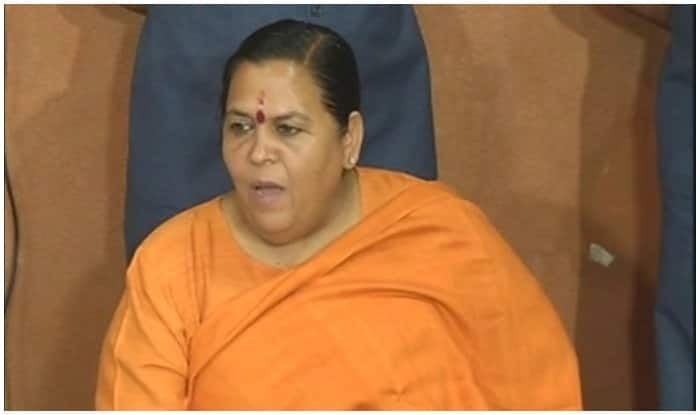 Party leader and Union Minister J P Nadda said senior party leader Uma Bharti wouldn’t be contesting this time and has been elevated to the post of vice-president. Meanwhile, Jayant Sinha will contest from Hazaribagh, Arjun Munda from Khunti, Vidhyut Varan Mahatao from Jamshedpur and Pashupati Nath Singh from Dhanbad. From Mandya in Karnataka, Independent candidate Sumalatha would be supported by the saffron party, said Nadda. The party has decided to field Anurag Thakur from Hamirpur (Himachal Pradesh), Suresh Kashyap from Shimla (Himachal Pradesh), Kishan Kapoor from Kangra (Himachal Pradesh), Nishikant Dubey from Godda (Jharkhand). Earlier in the day, the party had released the second list of candidates for five Lok Sabha and 22 Assembly seats in Odisha. It has fielded national spokesperson Sambit Patra from Puri, putting an end to the speculation that Prime Minister Narendra Modi would contest from there. Odisha BJP president Basant Kumar Panda is party’s candidate for Kalahandi, Suresh Pujari for Bargarh, Nitesh Ganga Deb for Sambalpur and Jayaram Pangi for Koraput parliamentary constituency. Earlier, the party had declared candidates for 10 Lok Sabha and 99 Assembly seats. Odisha has 21 Lok Sabha and 147 Assembly seats. The state will face general and assembly elections simultaneously in four phases beginning from April 11.